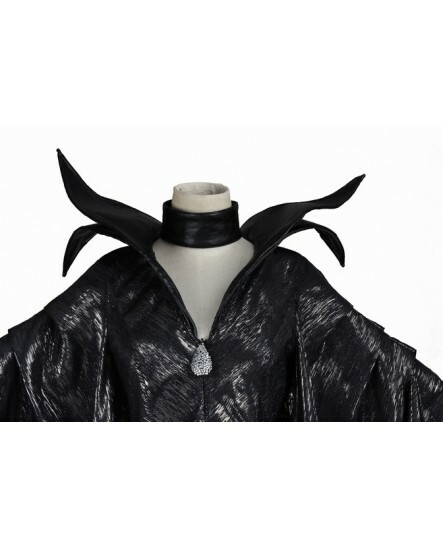 Pick up a Maleficent Classic Cosplay Costume for an extra touch! 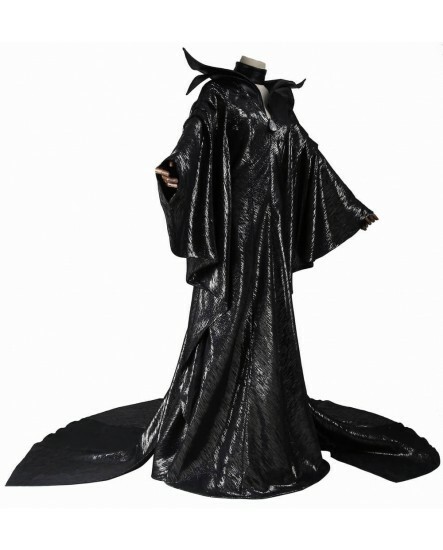 The fancy outfit featured here is a nearly exact replica of the one worn by Angelina Julie. 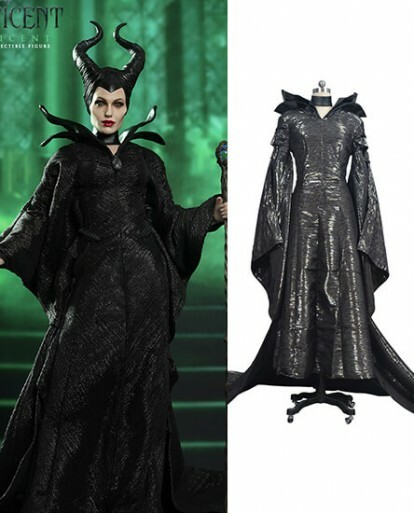 Our tailor can make this all black powerful Maleficent costume according to the measurement you provide to us, so it will fit you the best and everyone's eyes will be attracted by this Maleficent Cosplay Costume. 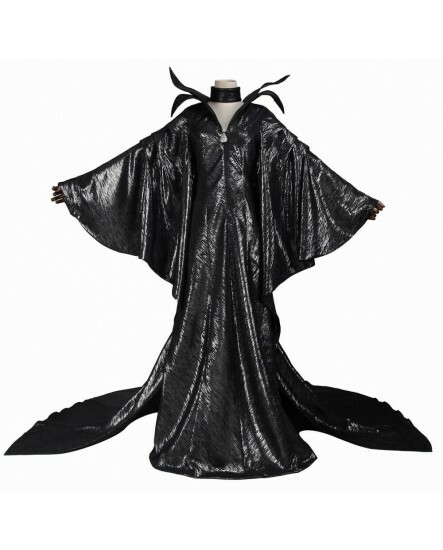 The Maleficent cosplay costume includes a long black dress with long wide wizard sleeves that fall down to the fingertips. 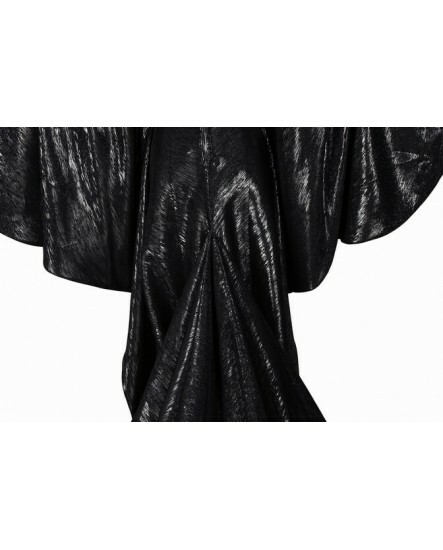 The long black elegant dress of Angelina Julie deserves a huge round of applause for the beautiful design. 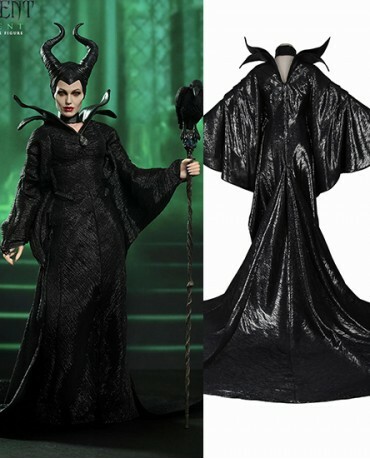 The design is just as the same as that was seen in the movies. 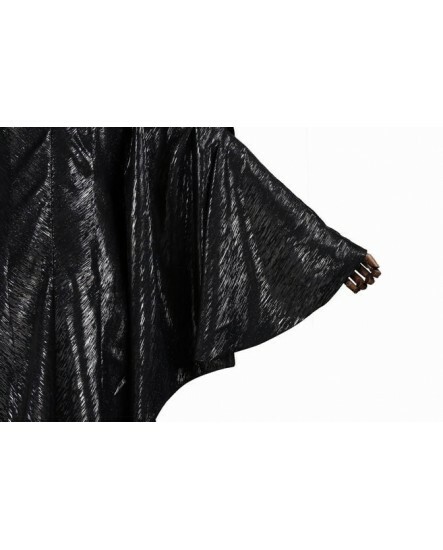 The layered double pointed collar which stands tall up to the ears asserts her power and authority. 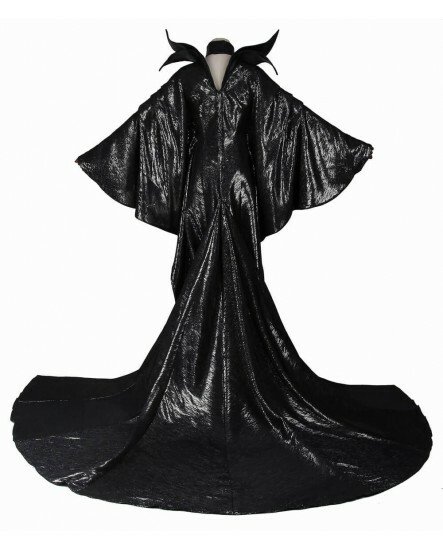 Maleficent's all black gown is striking and stylish, making it a great choice for Halloween and Costume parties throughout the year. 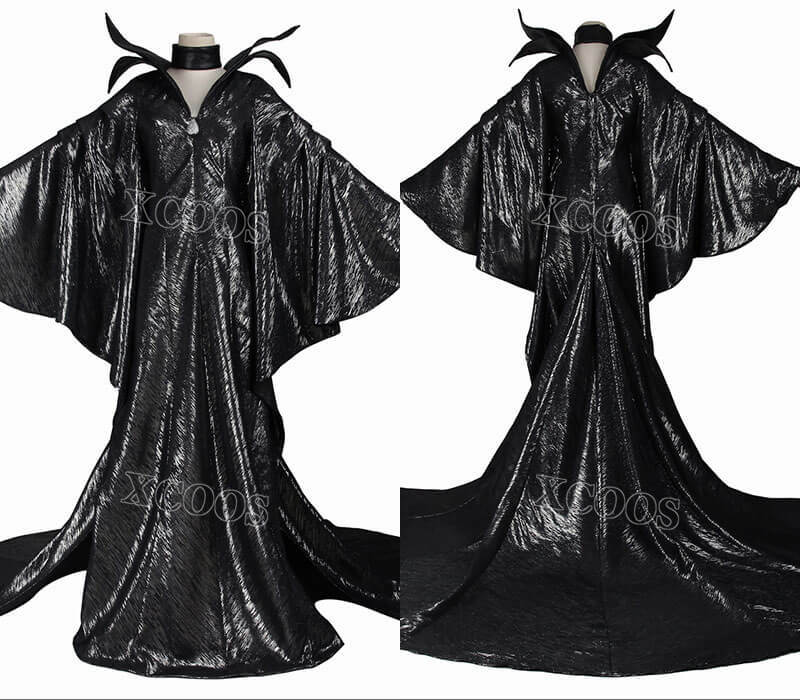 With this stylish Maleficent cosplay costume, you will look like the Maleficent from the movie. 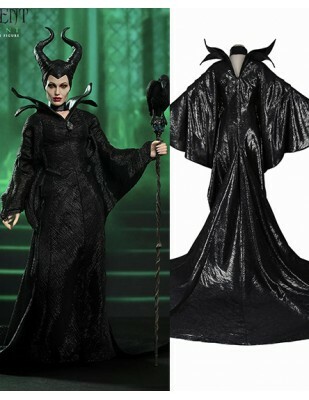 Order the Maleficent Christening Black Gown today and get a $6.00 voucher for the next purchase! 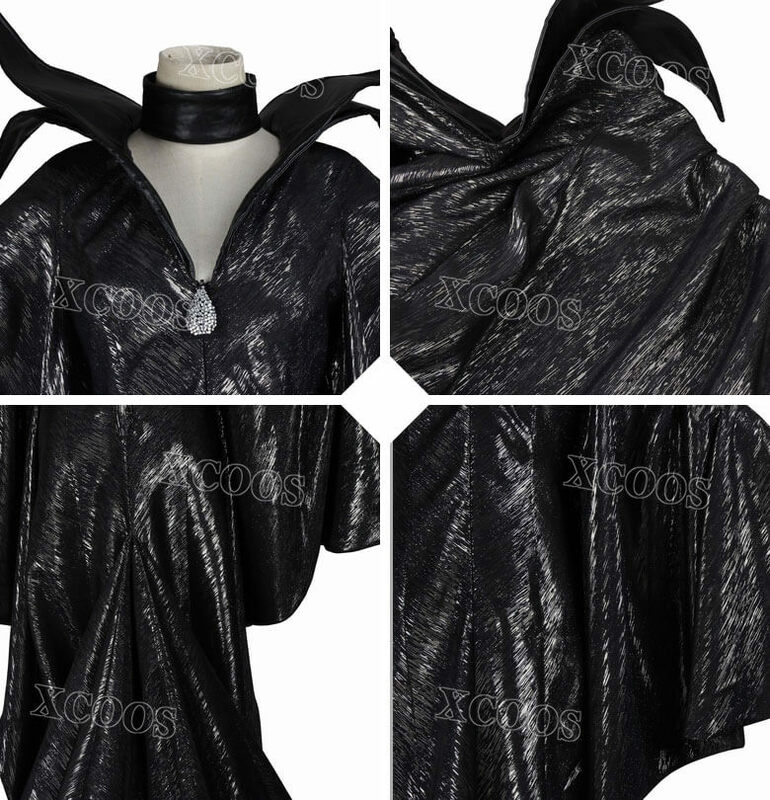 Super happy with this costume!! 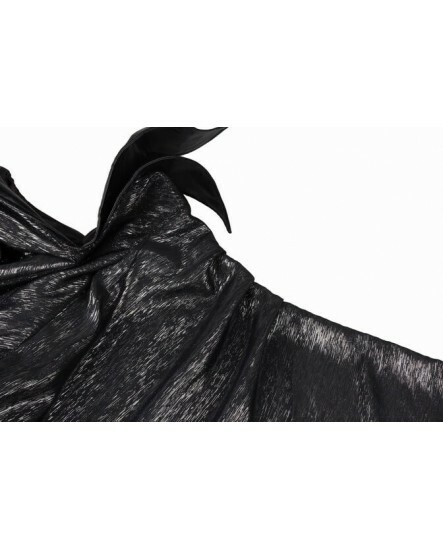 !Also, they have great customer service and the package came very quickly. I got it to me before my party!! 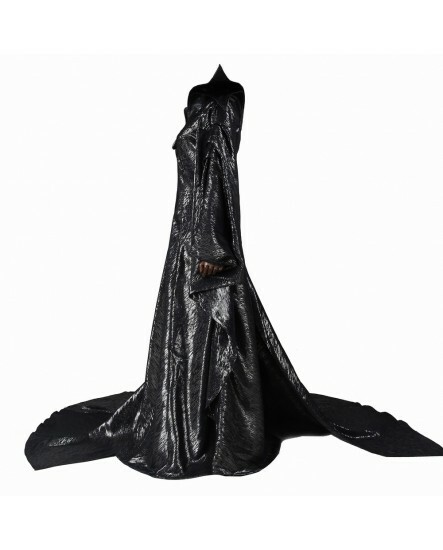 !Fair warning, the cape is very long!